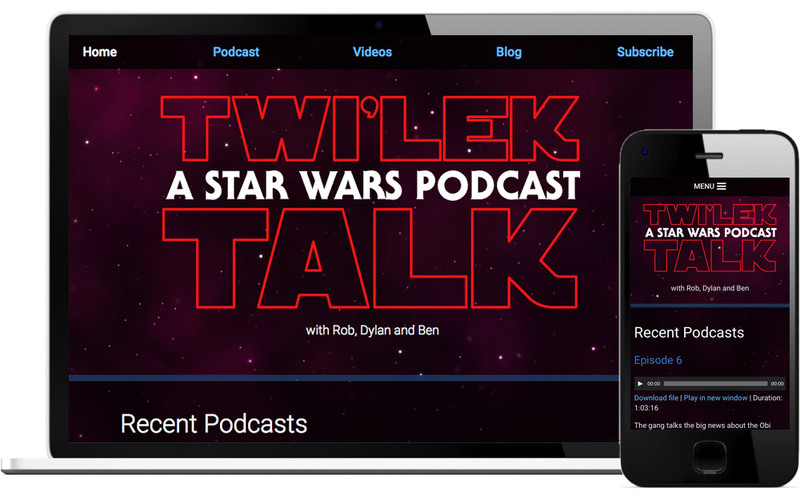 This website was built to be a home and promotional platform for a Star Wars podcast. WordPress was a great choice as a content management system because it’s flexible enough to host the podcast, as well as blog posts and videos, and because its backend user interface is friendly, I felt confident about handing it off to the site owners to let them add their own content (not to mention, being free, it wouldn’t strain the budget). I designed and built a custom theme for this project. I created the design in Sketch, (along with a custom logo designed in Illustrator and implemented on the site as SVG) and when the clients approved, I began development. I wanted to test out some newer browser technologies, so I opted not to use a layout framework and instead used CSS Grid. Using @supports, the site is able to detect and serve a grid layout to any browser that supports grid, and serve a simple float-based layout to any browser that doesn’t. Using the same technique, I used flexbox for the header and footer menus, with a float layout fallback for older browsers. The site is responsive and designed to make the content as easy to read as possible at any screen size. With hosting and an RSS feed for the podcast, we were able to submit the podcast to Apple, Google, and Stitcher, and make it available to a wide audience. The podcasters now have a platform to grow their podcast in the future.